We all know that outbreaks of preventable diseases cause (unnecessary) suffering and potentially devastating harms. This blog has a whole series dedicated to showing how vaccines save lives (examples here, here, here, here, and here). But besides those harms, outbreaks also have direct monetary costs. They cost individuals money, when those people have to miss work or pay for medications, co-pays or costs associated with caring for a sick child or other family member harmed by a disease. Outbreaks also impose costs on health insurers covering the (often very high) costs of treating a preventable disease; and they impose costs on the public purse. Public health authorities have to contain the outbreak. If people depend on a public health insurance program, their health costs are also covered by the public. Public funding is limited. When agencies have to spend money on containing outbreaks, they are not using the money in other ways. As a result, other services and needs suffer. Our paper argues that those whose decision not to vaccinate caused an outbreak should pay for the costs to public agencies of the outbreak. It then suggests options for achieving that goal. The blog post proceeds in three parts that shortly summarize the paper’s arguments: highlighting the costs of outbreaks, explaining the justifications for imposing costs of those who do not vaccinate, and mentioning how costs can be recovered. Is it fair to impose costs on those who choose not to vaccinate? How should we impose costs? Not all outbreaks are caused by someone’s decision not to vaccinate, but some are, and they can cost public authorities quite a bit. Costs include preventing additional exposures, tracking down those at risk, identifying additional cases, and arranging for diagnostic testing and preventive or treatment measures, among other things. To provide a few examples, a 2005 outbreak of measles in Indiana, caused by an unvaccinated teenager returning from a trip abroad, cost public health authorities about $62,216 (2014 US dollars) and cost generally over two hundred thousand dollars. Containment measures from a single imported measles case in 2010 were about $25,000 at that time ($26,818 in 2014 US dollars). Generally, it is estimated that the costs of measles outbreaks to public health authorities in 2011 alone were between $2.8-5.5 million (2014 US dollars). Outbreaks caused by non-vaccination are different than outbreaks that happen because of vaccine failure or lack of a vaccine program or recommendations because they are the direct result of a choice by an individual to forego a precaution. Think about the difference between someone whose brakes fail because of an unexpected mechanical reason and someone whose brakes fail because she chose not to have her car maintained – for good reasons or bad. When a human choice imposes costs on others, we can ask, who should pay. There are powerful reasons to impose costs on those who choose not to vaccinate. 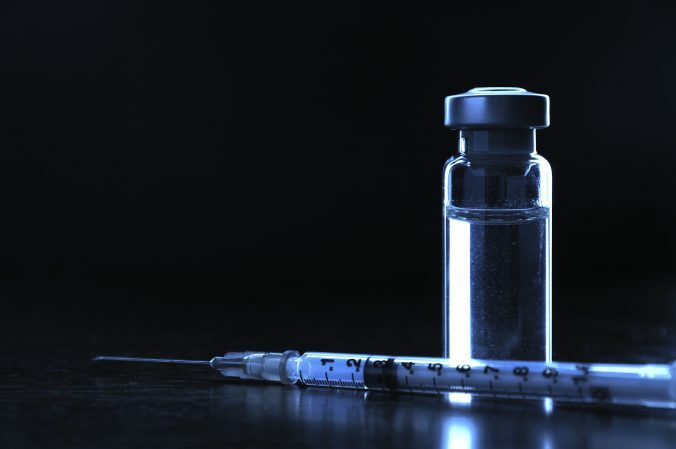 Using several of the criteria we normally apply to determine negligence, not vaccinating can be seen as unreasonable, and hence, negligent behavior. The scientific consensus is that while vaccines do carry risks, modern vaccines’ risks are small – serious reactions are very rare – and are outweighed by the risks of not vaccinating. From a risk/benefit perspective, not vaccinating is a problematic choice. In addition, the community norm supports vaccinating over 90% of the population vaccinates, and health authorities – local, state, national and international – support vaccinating. The safety concerns that often form the basis for not vaccinating usually draw on unsubstantiated claims, often touted by biased sources. From that perspective, the decision not to vaccinate can be seen as unreasonable. Even if not vaccinating is not seen as negligent, there are good reasons to require that those choosing not to vaccinate internalize their costs. A person who is not vaccinating is drawing on a public good–herd immunity–to protect herself or her child without contributing to that good. Herd immunity means that if enough people are vaccinated, a disease cannot take hold in a population, and even the unvaccinated are better protected. Because you cannot exclude people from enjoying it once it’s created, there is a temptation for people to take advantage without contributing; that is, to “free ride” on herd immunity. To prevent free riding, it’s appropriate to impose the costs of the choice on the individual. Since non-vaccinating also carries substantial risks for those unvaccinated for valid reasons such as age or medical status and for everyone else, by undermining herd immunity, it is desirable to deter it. Forcing the ones making the choice to internalize its costs can lead them to make a more accurate calculation of the costs of that choice, and perhaps choose otherwise. Our paper suggests a statute that will determine how the costs will be recovered. There are several ways to go about this, and they can be grouped under two major kinds of remedy; each with its own strengths and weaknesses. One way to recover the costs of non-vaccinating is to require those who choose not to vaccinate for non-medical reasons to pay a certain amount that will, in total, cover the costs non-vaccination is expected to put on the public purse. This can be done in several ways. One way is to impose a direct fee on those that choose not to vaccinate. Another way is to use the tax system, such as instituting a special non-vaccinating tax. This will create an equivalent to the fee those who vaccinate pay the National Vaccine Injury Compensation Program (NVICP) to cover vaccine injuries; though since the costs of non-vaccinating are higher than the costs of vaccine injuries and there are fewer non-vaccinating parents, the fee would have to be higher than the excise tax that subsidizes NVICP. Alternatively, a state could offer a tax break for those who do, in fact, vaccinate. Another way is to allow health insurers to charge differently according to vaccination status. Currently, the Affordable Care Act does not allow insurers to directly charge those that do not vaccinate more; the act would have to be changed before this could be done. On the other hand, the act allows insurers to offer lower premiums to those participating in wellness programs – and vaccinating can be defined as participating in a wellness program, offering a break to those who participate. Ex-ante mechanisms have some important advantages. They do not require government agencies to prove a causal connection between the decision not to vaccinate and a specific outbreak. The payment is based on the risk of outbreaks created by non-vaccinating, not on a connection to a specific case. They spread the costs of non-vaccinating among all those who make that choice for non-medical reasons, assuring that one family will not have to bear a disproportionate share because of bad luck and that no family will avoid paying its share. But they pose some challenges. The biggest of which is probably calculating before hand the appropriate amount to charge for an outbreak of unknown magnitude that has not happened yet. Another is identifying the non-vaccinating and making sure they pay. A third is determining which levels of differentiation to apply based on geography (national, state, local) as well as how to account for partial vaccination and familial differences in vaccination status (e.g., child versus adult). This approach also deviates from usual causation principles by imposing costs on those who have not actually caused harm. Another way to recouping costs of vaccine preventable disease outbreaks would be to require a family whose decision not to vaccinate caused a specific outbreak to pay for it. Our paper envisions allowing public authorities to directly bill the responsible family in that situation. The family can then appeal – first to an administrative agency, and then to a court of justice. But the onus to appeal would be on the family, not the public agency who had to pay the costs of the outbreak and its containment. This approach has the advantage of adhering to the traditional principle that an individual only pays for harms she actually causes. It also prevents the need to determine in advance how much an outbreak will cost and to identify non-vaccinating families before hand. It has disadvantages; however, such as the fact that it requires the agency to prove it was the non-vaccinating family that caused the outbreak, which can be difficult. It places the entire cost of the outbreak on one, or a small number, of families who had the bad luck to pay the price of their decision not to vaccinate, and it can result in non-coverage if the family in question cannot pay the cost. Non-vaccinating imposes costs on society. There is a powerful argument that the families making the choice not to vaccinate should pay for outbreaks caused by the choice – whether because the decision is culpable or to create a stronger set of incentives. This paper makes the case for instituting a system in which the extreme costs associated with outbreaks could be recovered, and examines the different forms that such an approach could take. At the end of the day, whether it’s your neighbor’s window or the public health budget, if you broke it, you really should pay to fix it. Coleman MS, Garbat-Welch L, Burke H, Weinberg M, Humbaugh K, Tindall A, Cambron J. Direct costs of a single case of refugee-imported measles in Kentucky. Vaccine. 2012 Jan 5;30(2):317-21. doi: 10.1016/j.vaccine.2011.10.091. Epub 2011 Nov 12. PubMed PMID: 22085555. Moser CA, Reiss DR, Schwartz RL. Funding the Costs of Disease Outbreaks Caused by Non Vaccination. Social Science Research Network. 3 June 2014. Ortega-Sanchez IR, Vijayaraghavan M, Barskey AE, Wallace GS. The economic burden of sixteen measles outbreaks on United States public health departments in 2011. Vaccine. 2014 Mar 5;32(11):1311-7. doi: 10.1016/j.vaccine.2013.10.012. Epub 2013 Oct 14. PubMed PMID: 24135574. Parker AA, Staggs W, Dayan GH, Ortega-Sánchez IR, Rota PA, Lowe L, Boardman P, Teclaw R, Graves C, LeBaron CW. Implications of a 2005 measles outbreak in Indiana for sustained elimination of measles in the United States. N Engl J Med. 2006 Aug 3;355(5):447-55. Erratum in: N Engl J Med. 2006 Sep 14;355(11):1184. PubMed PMID: 16885548.